Key difference: Ayurveda uses herbs and exercise to prevent illness. Siddha uses methods and medication, such as intense yogic practices, periodic fasting and meditation to achieve supernatural powers and immortality. 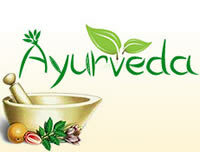 Both ayurveda and siddha are types of treatment system developed in India. They both depend on mainly natural remedies and exercise to prevent and treat an illness. Ayurveda predates siddha, and each was developed in two different regions of India. Ayurveda was incorporated in ancient Vedic texts, whereas siddha was written on palm leaf manuscripts in Tamil Nadu. Both believe that imbalance in the body creates an illness or disease. Ayurveda and siddha emphasize the balance of three elemental energies or humors: Vāyu / vāta (air & space – "wind"), pitta (fire & water – "bile") and kapha (water & earth – "phlegm"). They believe that an imbalance of these create a disease. The difference among them is that, siddha medicine recognizes predominance of vata, pitta and kapha in childhood, adulthood and old age, whereas ayurveda recognizes predominance of kapha, pitta and vata in childhood, adulthood and old age, respectively. Another difference is that ayurveda emphasizes on using herb, minerals, a need for healthy metabolic system, good digestion system, good digestion, proper excretion, exercise, yoga, and meditation, in order to keep the body healthy and avoid diseases. Whereas, siddha promotes using methods and medication, such as intense yogic practices, including years of periodic fasting and meditation, in order to strengthen the physical bogy and soul to attain supernatural powers and immortality. Siddhars, who supposedly attained supreme knowledge through this spirituality, wrote scriptures on all aspects of life, from arts to science and truth of life to miracle cure for diseases. Developed during the Vedic period in India during mid-second millennium BCE. Developed in South India. Believed to be more than 2500 years old. From the word Siddhi which means an object to be attained perfection or heavenly bliss. Disease is created by an imbalance of three elemental energies or humors: Vāyu / vāta (air & space – "wind"), pitta (fire & water – "bile") and kapha (water & earth – "phlegm"). When the normal equilibrium of the three humors (vata, pitha and kapha) is disturbed, disease is caused. The body is healthy as long as it in balance, when imbalanced it will be unhealthy in various ways. Uses herbs and minerals to bring and keep body in balance. Also, stresses need for healthy metabolic system, good digestion, proper excretion, exercise, yoga, and meditation. Use methods and medication, such as intense yogic practices, including years of periodic fasting and meditation, that are believed to strengthen the physical body and thereby the souls, in order to achieve supernatural powers and even immortality. Uses vegetable drugs, herbs, minerals like sulphur, arsenic, copper, lead, gold and animal products like milk, bones, and gallstones to produce medication. Uses thavara (herbal product, such as leaves, flowers, fruit and various roots), Dhathu (inorganic substances) and jangamam (animal products). May incorporate toxic minerals such as lead, mercury and arsenic in small doses. May include gold for consumption. Has been accepted in many western countries and is being promoted as an herbal alternative to modern medicine (allopathy). Popularity has reduced after introduction of modern medicine (allopathy). Largely unknown outside of India. Don’t believe this website, Ayurveda was invented slightly after Siddha. Hi, both siddha and ayurveda was having the same orgin, mainly the knowledge is transfered from lord shiva to danvantri and nandhi and then to every body starting from agasthiya. further the key difference is that both are same medicene but with a slight change as per the geograpical location of the people. Ayur veda is recommeded for the people residing above vindhaya mountains (possibly tropic of cancer) and siddha is recommeded for the people residing below vindhya mountains that is the main difference and many people dont know about this. rest of diagnosis and other stuffs are same. and more over regarding the period of origin, both are eternal. in Pogar 7000 manuscript he has visited many places in the wold and also witnessed the pandavas and Lord krisha and so on while he used (KANAKA mARKAM - a KIND OF VEDHAI of mystic powers) it clearly shows that he has lived 5000 yrs back before kaliyuga. similarly the orgin of all medicine is from danvantri who chame while churning the cosmic ocean. so with the current generation with limited senses can not evaluate the orgin of the same. Thank you for this clarification. I have become fascinated with Ayurveda and studying it. I recently learned of siddha, but in my reading, they seem to actually be much the same at their root, they just evolved further in different geographic areas. 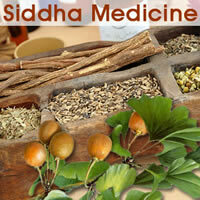 Siddha seems to be the latest compared to Ayurveda. Actually both seem to be similar too.